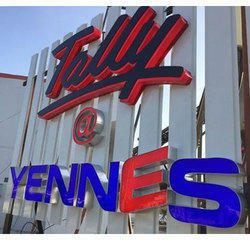 For publicity, promotion and advertising purposes, we can design and fabricate neon sign boards. These sign boards are made using quality material and are available in various sizes and designs. Clients can get these boards custom-made as per their requisite specifications. Our sign boards with neon lighting find application in cinemas, hotels, restaurants, churches and auto dealerships. TUVA NEON SIGNS IS PROUD TO CARRY ON THE LEGACY OF PROVIDING HIGH QUALITY CUSTOM NEON SIGNS. Neon Signs are a common place type of sign. Most recognized for their brightness, Neon Signs contain low-pressure gas called neon. When the neon is charged with a high voltage it causes the gases to glow very brightly. We are offering our clients Neon Sign Boards that are used at highways, markets and busy roads. The purpose of these boards is to display advertisements of different brands and products. The raw material used in the fabrication process is of the finest quality and thus the products guarantee longer service life. 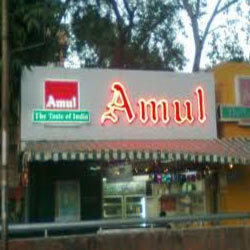 we are thes best quality manufacturer of Glow Sign Board in Bihar and Jharkhand. We also Supplies Our Glow Sign Board in Varanasi, Azamgarh, Allahabad etc. Cities. No one is best In Designing and fabrication of Glow sign Board in Bihar and Jharkhand. So please Provide an opportunity for Manufacturing of Glow SIgn Board. Launch Pad Promotions Pvt. Ltd.
We have various types of Neon Signage Boards. This is high impact for selected colors signage. We have in store an impeccable range of Neon Sign Boards For Hotels for our clients. We provide endless possibilities of creating eye-catching and noticeable adverting to the clients. - Manufactured using high quality PVC flex, polycarbonate or acrylic material and latest technologies. We specialize in the production of Neon Signage. It come in various sizes, designs and colors and can be customized as per the client's requirements.